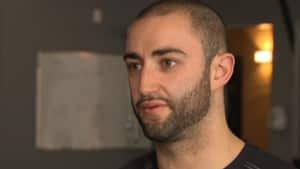 Steroids are more widespread, easier to access and one of the most popular drugs seized in Ottawa and at the U.S.-Canada border, CBC News has learned. 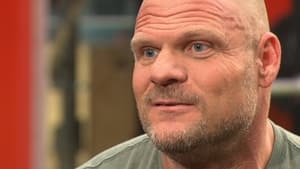 Former steroid user and athlete, Glenn Kulka, warns easier access to steroids will lead to more people living shorter lives. Kulka, who played junior hockey, professional football, and competed in professional wrestling and mixed martial arts, started using steroids two decades ago while trying out for the Edmonton Eskimos of the Canadian Football League. At that time, even though he could bench-press 400 lbs., the team told him he had to gain about 15 lbs. more to fit their blueprint for the position he played. “I said, ‘OK I’m in, how do I do that? '” he told the CBC’s Ryan Gibson. Kulka went on to play 11 years in the CFL for multiple teams. He also joined the World Wrestling Federation (now known as World Wrestling Entertainment) after an invitation from former Canadian wrestler Bret Hart. His body, which is still very muscular, took a beating during years of physical combat. Now the Ottawa man, who will turn 50 next year, has several regrets. “I have to look at the damage I have done and that’s a tough pill, the hardest pill I’ve ever had to swallow,” he said, surrounded by several weights and workout machines inside his gym. Ten years of steroid use took a toll on his internal organs, according to KulkaÃ¢â‚¬â„¢s doctor, who also said he might not live past 65 years old. That means he could miss his children’s high school graduations and other important life events. “I’m going to pay the piper at some point, and I mean the big man,” he said, pointing to the sky. As Kulka can attest, professional athletes fuel the demand for performance-enhancing drugs. But together, recreational steroid users form the engine of the operation because many want a shortcut to lower their body fat and increase muscle mass, according to an Ottawa fitness trainer. Drug dealers also roam around local gyms looking for prospective clients, claim Kulka and trainer Geoff Makhoul. “There’s always a source Ã¢â‚¬Â¦ you talk to a person, who’s talked to a person, eventually you find your price and your point,” said Makhoul, who works at Greco Lean and Fit in downtown Ottawa. Makhoul said he hasnÃ¢â‚¬â„¢t seen any dealers at his gym, but he has heard anecdotes of such dealers in Ottawa. Bodybuilder Samuel Dixon argues police need to know more about the mental and physical damage steroids cause for users. Police admit they donÃ¢â‚¬â„¢t have the resources to target steroids, because so many other drugs cause immediate harm to society, according to the head of the Ottawa police drug unit. The unit is learning more about how steroids are sold and stored, though. In a cocaine bust last week, officers came upon a room built just for steroid storage. Laviolette also said steroid dealers exist in a “small, tight community,” which makes it more difficult to investigate.